^ 1.0 1.1 1.2 Religious. The World Factsbook. Central Intelligence Agency. [18 November 2015] （英语）. ^ The Future of the Global Muslim Population. Pew Research Centre. 2011-01-27 [18 November 2015] （英语）. ^ Burke, Daniel. The world's fastest-growing religion is .... CNN. 2015-04-04 [18 November 2015] （英语）. ^ Ruling on promulgating manmade laws and Shaykh Ibn ‘Uthaymeen’s view on that. Islam Question and Answer. [2 December 2015] （英语）. 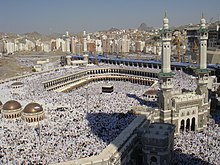 ^ Is it proven that all the Prophets (peace be upon them) performed Hajj to the Ka‘bah?. Islam Question and Answer. [2 December 2015] （英语）. ^ The virtue of the Sahaabah (may Allaah be pleased with them). Islam Question and Answer. [2 December 2015] （英语）. ^ Al-Khalili, Jim. It's time to herald the Arabic science that prefigured Darwin and Newton. The Guardian. 2008-01-30 [21 December 2015] （英语）. 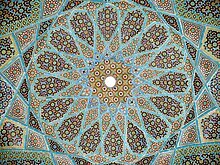 ^ Al-Khalili, Jim. 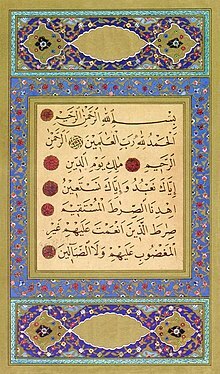 Science: Islam's forgotten geniuses. The Telegraph. 2008-01-29 [21 December 2015] （英语）. ^ Haviland, Charles. The roar of Rumi - 800 years on. BBC. 2007-09-30 [21 December 2015] （英语）. ^ Islam in China. BBC. [15 December 2015] （英语）. ^ Mzioudet, Houda. Graves desecrated in Mizdah. Libya Herald. 2013-09-04 [23 December 2015] （英语）. ^ Perrin, Andrew. Weakness in Numbers. Time. 2003-10-10 [28 December 2015] （英语）. ^ Huge rally for Turkish secularism. BBC News. 2007-04-29 [28 December 2015] （英语）. ^ Tunisia moves against headscarves. BBC News. 2006-10-15 [28 December 2015] （英语）. 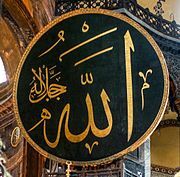 ^ Political Islam: A movement in motion. The Economist. 2014-01-03 [28 December 2015] （英语）. ^ Are secular forces being squeezed out of Arab Spring?. BBC News. 2011-08-09 [28 December 2015] （英语）. ^ Krikpatrick, David D. Egypt’s Vote Puts Emphasis on Split Over Religious Rule. The New York Times. 2011-12-03 [28 December 2015] （英语）. 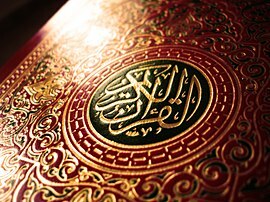 ^ Profile: Organisation of the Islamic Conference. BBC News. 2010-12-26 [28 December 2015] （英语）. ^ Slackman, Michael. In Egypt, a New Battle Begins Over the Veil. The New York Times. 2007-01-28 [28 December 2015] （英语）. ^ Beech, Hannah. A Call to Prayer. Times. 2007-02-22 [28 December 2015] （英语）. 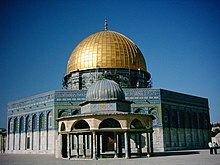 ^ Laying down the law: Islam's authority deficit. The Economist. 2007-06-28 [28 December 2015] （英语）. ^ Peace TV. Peace TV. [28 December 2015]. （原始内容存档于2012年10月5日） （英语）. ^ Onishi, Norimitsu. Rising Muslim Power in Africa Causes Unrest in Nigeria and Elsewhere. The New York Times. 2001-11-01 [28 December 2015] （英语）. 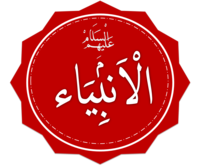 ^ Ahl al-Sunnah wa'l-Jamaah. Oxford Reference. [30 December 2015] （英语）. ^ Deobandis. Oxford Reference. [30 December 2015] （英语）. ^ Kramer, Martin. Syria’s Alawis and Shi‘ism From Shi‘ism, Resistance, and Revolutio. Web Citation. [31 December 2015]. （原始内容存档于2009-10-26） （英语）. ^ 31.0 31.1 The World's Muslims: Unity and Diversity. Pew Research Center. 2012-08-09 [4 January 2016] （英语）. ^ Alvi, Farhat. The Significant Role of Sufism in Central Asia (PDF). [4 January 2016] （英语）. ^ The World Factbook - China. Central Intelligence Agency. [7 January 2016] （英语）. ^ Internationl Religious Freedom Report 2006 - China (Includes Hong Kong, Macau and Tibet). U. S. Department of State. [7 January 2016]. （原始内容存档于2018-03-16） （英语）. ^ Rab, Masood. Chinese Muslim Scholars. The Muslim Observer. [7 January 2016] （英语）. 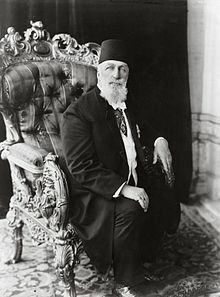 ^ Melikian, Souren. 'Islamic' Culture: A Groundless Myth. The New York Times. 2011-11-04 [7 January 2016] （英语）. ^ Is it permissible to draw animate beings and then erase them for fun?. Islam QA. [8 January 2016] （英语）. ^ Mohammed and Mohammedanism. New Advent. [11 January 2016] （英语）. ^ Kohler, Kaufmann; McDonald, Duncan B. Bible in Mohammedan Literature. Jewish Encyclopedia. [11 January 2016] （英语）. ^ Why Muslims are the world’s fastest-growing religious group. Pew Research Center. 2015-04-23 [2016-11-27].